Do you like a Samsung device just for TouchWiz UI and features and are dying for buying it? Then go and buy the device. Here's the solution for Lava Iris 405 users who want a Samsung device just for UI and for nothing else. 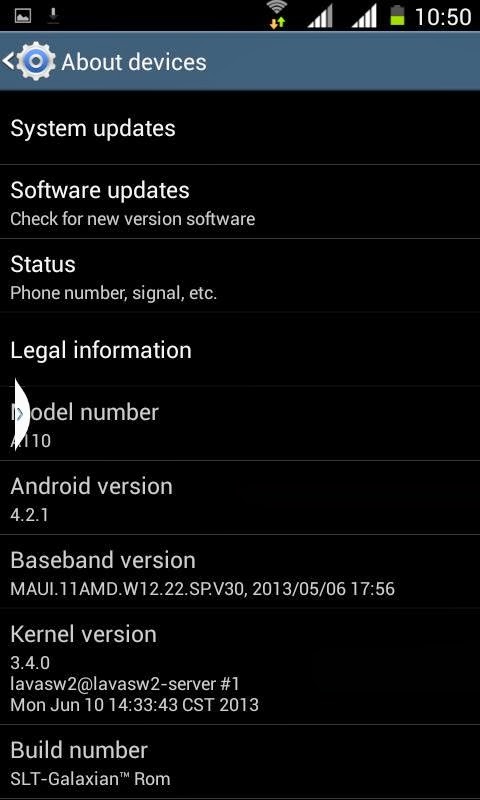 You can try this superb ROM made by my 'brother from another mother' Vipul Verma. He's a great developer, he has also ported REAL CyanogenMod 9 to Lava Iris 405 but fixing some bugs in it, other than it, he ported MiUi, LeWa OS, Xperia Z1 and other ROMs to Lava Iris 405 already. He also ported CWM and TWRP Recovery to the device. He worked more than 1 month for his ROM, and he was having his exams too which delayed the release of ROM, anyway, but the ROM is released today so you can be happy. He is a great developer, and I think he deserves a lot of 'thanks' because of his work. The custom ROM is having real Samsung's SystemUI (statusbar) and other Samsung's file which makes it look like a real Samsung ROM. Let's see features, screenshots, requirements, downloads and installing guide of this superb ROM. Based on 3-4 ROMs. Cherry Picked features for users. Air Gesture Working (Gallery Only, as TouchWiz giving FC.). Smart Scroll (In Browser, Just tilt your phone and see magic of scrolling.). Default Video Player with Pop-Video Feature From Samsung. SystemUI of Samsung Completely with Delete all Recent Apps Button. New Dialer of Samsung (Both Sim Keys). Most of Samsung Apps - SVoice, SMemo, SCalender, TouchWiz Calculator, etc. Volume+ & OG YouTube Integrated. A very tiny app for Rebooting Functions. 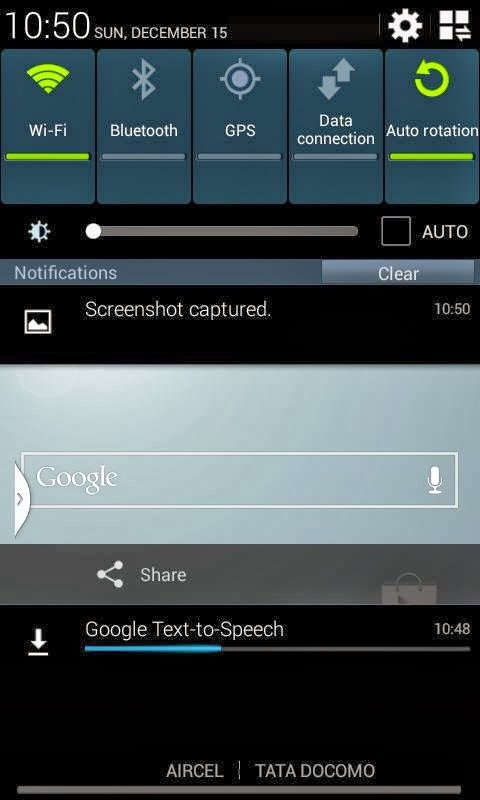 SystemUI - Notification Panel with some extra, Toggles for Smart Scroll, Multi-Window (Sidebar only), AirGesture, etc. Xtreme Script & Pre-Cache Swap Enabled (My Favorite Tweaks). New Style (Almost a Mix-breed of Samsung & MTK) File Manager. Some New Ringtones from Note3 ROM. Flare Light Lockscreen Inbuilt with Widget Supports. Stausbar Transparent only in Launcher & LockScreen. No where else. Just like S4 & Note3. Samsung Style Gallery & Camera App & Icons. Credits goes to me for capturing these screenies! 1 GB RAM Rooted Lava Iris 405 with ClockWorkMod or TWRP Recovery installed in it. Internet connection- for downloading the ROM. Don't do anything else which is not stated in this article. Don't proceed before making a Nandroid backup. 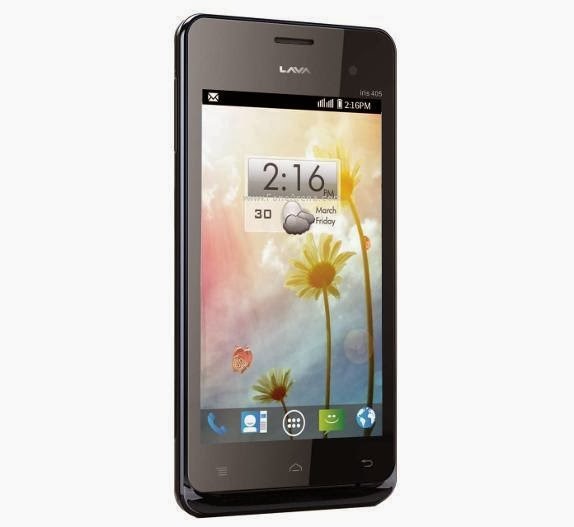 Don't try the ROM on any other device except Lava Iris 405. Don't mix the content of ROM with the contents of others. Galaxian ROM for Lava Iris 405- Click HERE. Download the ROM from your PC or mobile. If you're downloading from PC then move it to your SD Card, and if you've downloaded it from mobile, then move it to the root of your SD Card "/" for ease. Press and hold Volume Down (-) + Power Button simultaneously for some time until you see ClockWorkMod Recovery. Go to backup and restore and select Backup, wait for some seconds till it completes. Select Wipe data\Factory reset from the main menu to wipe the whole data partition. Go to advance and clear dalvik cache. Click Yes from the another menu. This reboot will take much more time than the normal reboot takes because the system is building some necessary files which are required to boot. Don't get panic and make a Maggi! You should say this to Vipul Verma! :) BTW Welcome. Is camera app working fine on this ROM????? On some devices YEAH and on some devices it shows pinkish color.